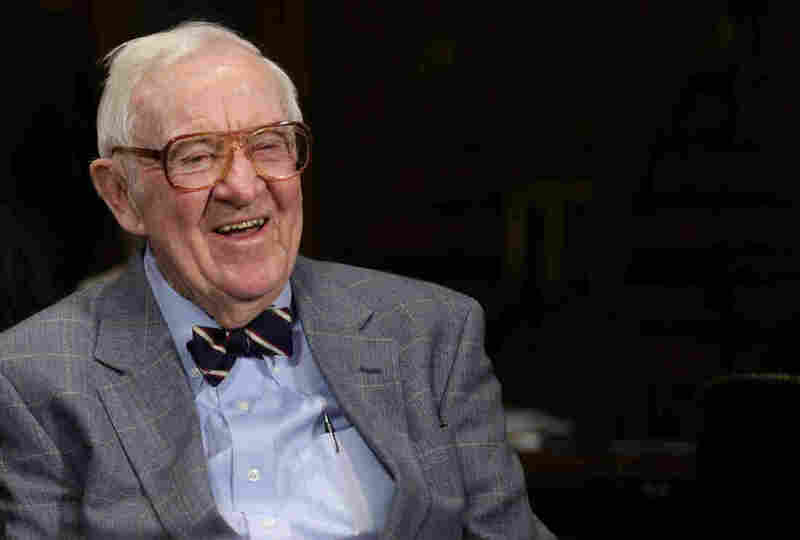 Retired Justice John Paul Stevens: Marijuana Should Be Legal : The Two-Way In an interview with NPR's Scott Simon, Stevens compares making pot illegal to the attempt to prohibit alcohol. Like alcohol, he said, there will soon be a consensus that it is not worth the cost. Former Supreme Court Associate Justice John Paul Stevens likens making pot illegal to Prohibition. In his new book, Six Amendments, he proposes constitutional changes including a curb on an individual's right to bear arms. Retired Justice John Paul Stevens made some news in an interview with NPR's Scott Simon on Thursday. Scott asked him if the federal government should legalize marijuana. "Yes," Stevens replied. "I really think that that's another instance of public opinion [that's] changed. And recognize that the distinction between marijuana and alcoholic beverages is really not much of a distinction. Alcohol, the prohibition against selling and dispensing alcoholic beverages has I think been generally, there's a general consensus that it was not worth the cost. And I think really in time that will be the general consensus with respect to this particular drug." Stevens' comments are perhaps not particularly surprising. Stevens was, after all, considered part of the court's liberal wing. But he was appointed by President Gerald Ford and he considers himself a conservative. Also, just years ago a pronouncement of this kind would have been a bombshell. Just think back to 1987, when President Ronald Reagan nominated Judge Douglas H. Ginsburg to the high court. Nine days later, after Ginsburg admitted that he had smoked marijuana, he asked Reagan to withdraw his nomination. The 94-year-old Stevens has been making waves recently with a new book, Six Amendments, in which he proposes six changes to the U.S. Constitution. Among them: the banishment of capital punishment, a limit on the amount of corporate money that can be pumped into elections and a curb on the individual right to bear arms. Scott also asked Stevens about gay marriage. Stevens says that the dramatic shift in public opinion on that issue gives him confidence that "in due course when people actually think through the issues they'll be willing to accept the merits of some of my arguments." Much more of Scott's conversation with Stevens will air on Weekend Edition Saturday. Click here to find your NPR member station. We'll add the as-aired interview to the top of this post on Saturday.